Welcome back after the half-term holiday to another busy and action packed few weeks for us all. I wanted to take this opportunity to share some information and reminders for the Junior Section. The holiday started on a high note following the vibrant and exciting United Nations Day celebrations. Students enjoyed parading around the School in colourful and bright national and/or themed costumes – the Japanese kimono, the Scottish kilt and the Indian Punjabi suits were all on show! A few brave and proud individuals represented their country on their own and were greeted with great applause from Dover Court parents, grandparents, friends and teachers. Students also enjoyed using a passport to travel around the world in record time and gain a snap shot of life in countries including Sweden, Mexico, Burma and New Zealand. All the Dover Court community enjoyed the English Victoria sandwich cake, the Indian curries, the Italian deli, the Australian goodies and so much more…! The day culminated in an outstanding Junior/Senior Concert with performances by children and parents. Dover Court will remember the Japanese flag dance with 110 students, the tuneful Korean songs and dances with Infant pupils, the vibrant Philippines performance allowing the audience to smile, applaud and rejoice and lastly, the actions and smiles from all the students singing and memorising all the actions for ‘Oh, the thinks you can think’ from ‘Seussical’. Now rested and relaxed, it has been wonderful to see the students 'skip’ back to school, excited about their holidays and looking forward to seeing their friends, their teachers and engaging in a wonderful array of activities, lessons and extra-curricular activities. At this point we must welcome our new students and parents to Dover Court International School. As always in the life of a successful and busy school, the days have flown by! Year 3 have been enjoying finding out about materials and their properties and the local area. They are already looking forward to their fieldtrip in Week 11. In PSHE friendship badges have been created and Etienne’s words were, “I can make new friends with Odysseus because he’s kind, gentle and protective.” Some Year 3 children have also been decorating diva lamps with their own Indian inspired pattern. In Year 4 the children have been making Roman Shields and designing Roman mosaics. They have been practising their lines for a song for their Assembly on Friday 31st October. Do watch out for those Roman Soldiers…after their adventures at the Singapore Zoo…they are not as fierce as they seem…! Look out also for Year 4 potential reporters as they are learning all about features of newspaper reports. Already some students have reported on their holiday using the ‘Show Me’ app software on the iPad. In their study of the Viking era Year 5 have found out about Viking clothing, village life, houses and homes. Visiting the classrooms this week, I came across a group of students proactively engaged in designing and making Viking longships. Nothing was going to disturb the students’ industriousness…! In Science Year 5 have also been exploring reversible and irreversible changes as well as concepts of condensation and evaporation. Please be sure to leave the beakers alone as we have many budding scientists in Year 5-watch out they may test your knowledge! Finally, our oldest students in the Juniors have been very busy preparing for the spectacular Deepavali Assembly. Deepavali is the Indian Festival of Lights. The Year 6 students have discovered that after being whisked on a journey of adventure, love, war and peace, the path of true love rarely runs smoothly, yet good always overcomes evil. This epic story of the Ramayana will be performed in Assembly and its energy and colourfulness will show that Year 6 know how bright to shine a light when on stage! On this note I would also like to add that all of the Infants enthralled us with a captivating Deepavali Assembly with a great number of parents and visitors attending. Thank you, Infants! 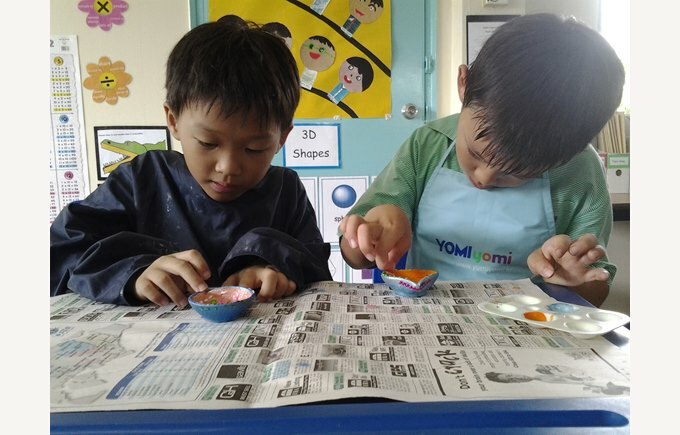 As Head of the Juniors, it is so wonderful to see how much your children are enjoying their school life and engaging in all that comes in the way: they are creative, happy and inquisite students. Having settled well into life in the Juniors, we would now request for you to say ‘bye’ to your sons and daughter at the entrance to the School/Juniors and let them make their own way to the classrooms. Please keep using the Homework Diary for any communication over daily routines, homework, etcetera. Thank you Parents for your ongoing and continued support. We look forward to seeing you over the next few weeks at the Year 3, 4 and 5 Assemblies, helping out with our trips and Christmas activities and at our wonderful Christmas Carol Concert at St. Georges’ Church.